YouTube Goes From Being Banned to Streaming PSL Live! Ladies and gentlemen, boys and girls and children of all ages. The Pakistan Super league is here! 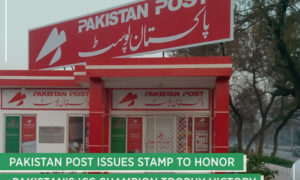 After surmounting many hurdles, venue changes, delays and other problems, the Pakistan Super league has finally begun. With 80 players, including international stars such as Chris Gayle, Shane Watson, Kevin Pietersen, Dwayne Bravo, Kumar Sangakkara and Angelo Mathews, the world is in a for a true Pakistani show. Ahmed Shahzad has finally performed and hit a cool 71 to guide the Quetta Gladiators to a thumping win over the Lahore Qalandars. Mohammad Amir proved his mettle by taking four wickets for the Karachi Kings against the Lahore Qalandars. The Lahore Qalandars seem to have completely lost their way whereas the Quetta Gladiators have been a surprise package. How this partnership came into being we honestly cannot fathom. As all of us in Pakistan know very well, Youtube was banned in Pakistan till about a month ago. Going from being banned to hosting Pakistan’s premier sporting event is a big deal to say the least! However, PSL organizers have managed to do this and bring the event to the world via Youtube. Youtube will broadcast live matches from the PSL for its viewers except those from the Middle East. 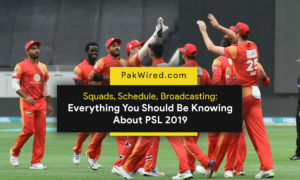 The news of Youtube live streaming was first broken by the Chairman Mr. Najam Sethi himself via a tweet where he announced that Youtube will officially broadcast all the matches live over the internet. 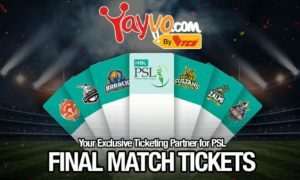 According to Mr. Sethi, the Youtube live stream for PSL will employ a unique technology to show live cricket feeds. In this day and age online streaming is the way most people fulfill their entertainment needs and what better way to do this other than Youtube, the largest video sharing website in the world? This, in our opinion is a decent coup by the PSL that will help bring the event to the mainstream public all over the world. The site is also mobile compatible so you can enjoy it while you’re on the go!